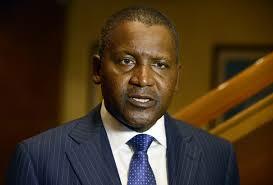 Aliko Dangote, billionaire businessman, has advised African leaders to give incentives to investorstravel easy. He said this while revealing that despite the size of his group and his investments on the continent, he needs 38 visas to travel across Africa. The richest African said adequate steps must be taken to address the issue in order for the continent to have a blossoming economy. “Our leaders must give incentives. For example, little things like visa issuance. You go to a country that is looking for investment, that particular country will give you a run around just to get a visa,” he said in an interview with CNBC Africa.